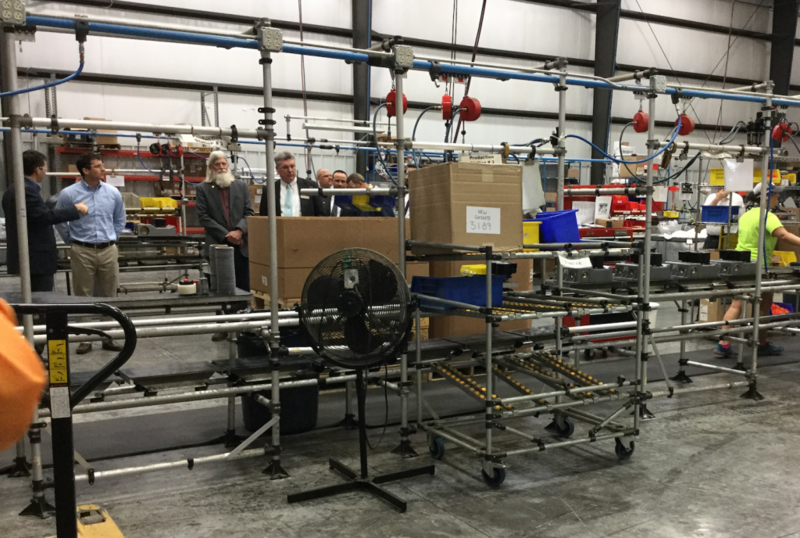 The following post is courtesy of Jeff Hammond, Director of Business and Product Development, at Geo-Flo Products Corporation in Bedford, Indiana. Geo-Flo’s reception of Congressman Trey Hollingsworth is a case study in effective grassroots advocacy. 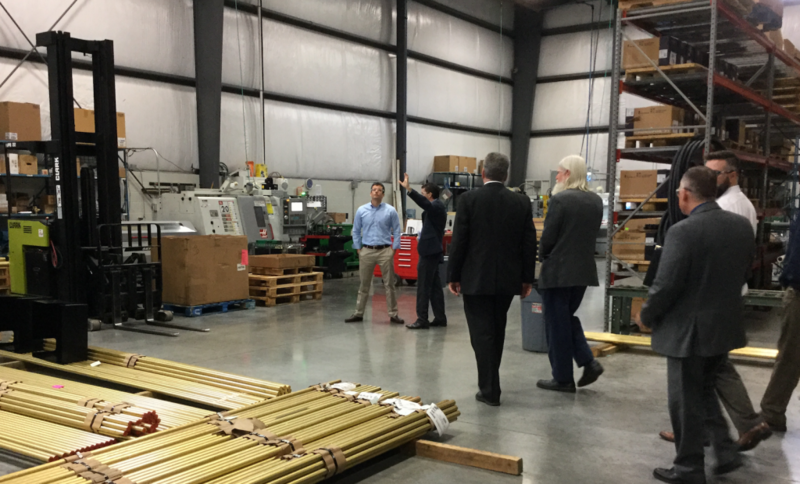 GEO urges professionals in the geothermal heat pump industry to follow Geo-Flo’s example and invite their elected officials to a facility or job site. And please contact your member and urge them to cosponsor H.R. 1090 to level the playing field and restore the federal tax credits for geo installations. By educating our policymakers on the benefits of geothermal technology, we ensure laws and regulations that properly support our industry. 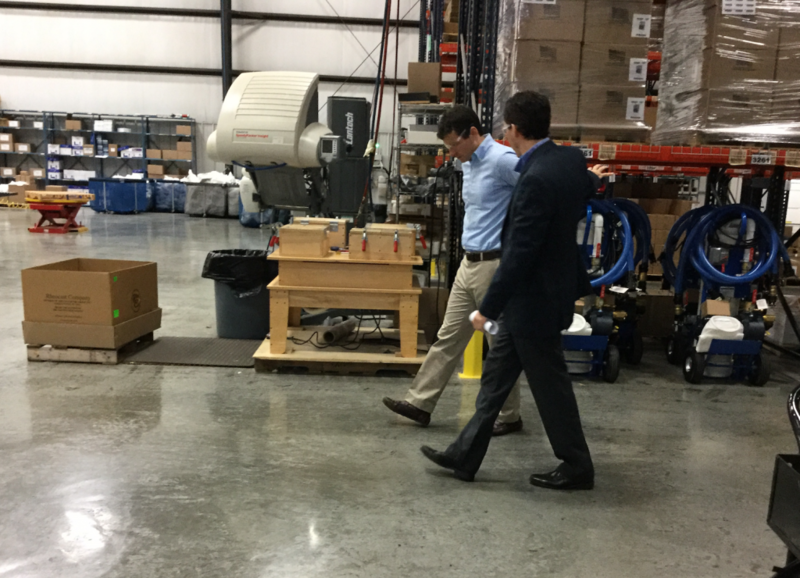 Congressman Trey Hollingsworth, Indiana 9th District, visited the Geo-Flo plant in Bedford, Indiana, on April 21. 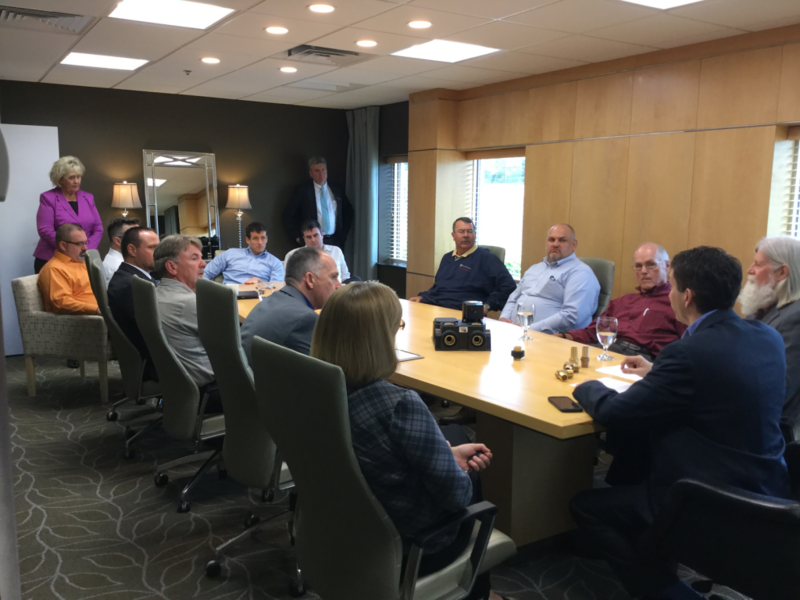 Discussions included the state of the geothermal heat pump industry, as well as Geo-Flo’s encouragement to support H.R. Bill 1090, which would extend the tax credit for investments in energy property with construction that begins before January 1, 2022. The bill would include geothermal technology and other renewables left out of the tax credit extension that included solar installations. There are currently 59 co-sponsors of the bill introduced by Representative Tom Reed of New York. If you haven’t already contacted your representative, please ask for his or her support to put geothermal on parity with other renewables. ← What is a Grouted, Geothermal Borehole?